WHAT: The YP Summit is designed to empower young professionals in Northwest Arkansas with the tools to enact positive change within themselves, their companies and their community with the influence of “service above self” and regional planning. Donnie Smith, Tyson Chief Executive Officer, to headline the summit as keynote speaker and will be joined by several dynamic change makers from across the region who will be presenting during several breakout sessions targeted at young professionals in NWA. 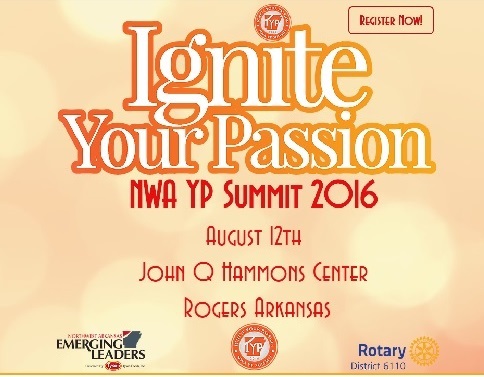 Register today at www.nwaypsummit.com or for more information, contact (Rotarian/NWA YP Chair) Dr. Todd Jenkins. 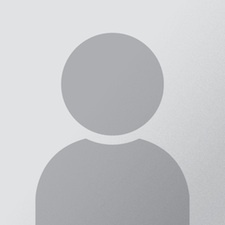 Cost is $35 and includes access to all breakout sessions and lunch. So join us and get ready to “IGNITE YOUR PASSION”! WHEN: Friday, August 12, 2016 9:00 to 4:00 p.m.